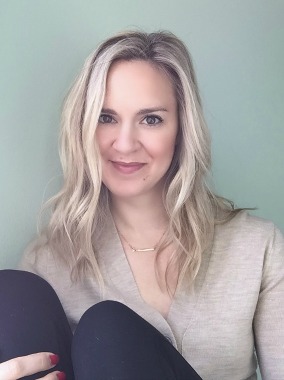 The busy holiday season can leave Mom's tired and frumpy, but there's help for maintaining your sense of style year round! Now that Halloween has passed and we're into November, the Holiday Season is in full swing! I've already gotten a small mountain of emails for holiday parties, bake sales, fundraisers for Henry's school, neighborhood gatherings and so forth. This means we will be on the go a lot for the next few weeks - and my final few weeks of pregnancy. That level of busyness makes it challenging to maintain ANY level of style when you're toting around a toddler and extra 15 pounds of internal-baby! Why is it so challenging, especially during the holidays? It's full-out cold season. So that means somebody's nose is always running. It's holiday treat season, so that means there's always sugar on somebody's hands. In Texas, it's finally cool enough to spend some time with play dates on the playground, so that means there's always (ALWAYS!) dirt on hands and faces, and usually a scrape or boo-boo to clean up after. And, ahem! By *someone* I mean Henry. I don't have any sugar on my hands! Nope. Not me. Not here. Not guilty. Huggies Clutch n' Clean wipes make it easy to take care of the problems mentioned above, and to do it in style. Sticky hands, running noses and dirt are no match for a mom with these cute and durable - not to mention tote-able with a wristlet attached - baby wipes! I appreciate any company who understands how messy "holiday parenting" is, and Huggies does. The wipes we use are over 99% water and dermatologically tested. In fact, I even use them on myself sometimes! If my eyeliner or mascara has started to "run" while we're out running errands, a quick wipe with Huggies fixes that real quick. Next time you're stopped at a light and see a woman wiping her own face with the wipes for her baby's bottom, you just go ahead and think of me! Because yes, I actually do that. Often. Even better, Huggies has lent moms a helping hand in the style department! They've made cute and convenient Huggies Clutch n' Clean wipe packaging, which puts their wipes in a durable and CUTE purse-like package. Better yet, this packaging is refillable. 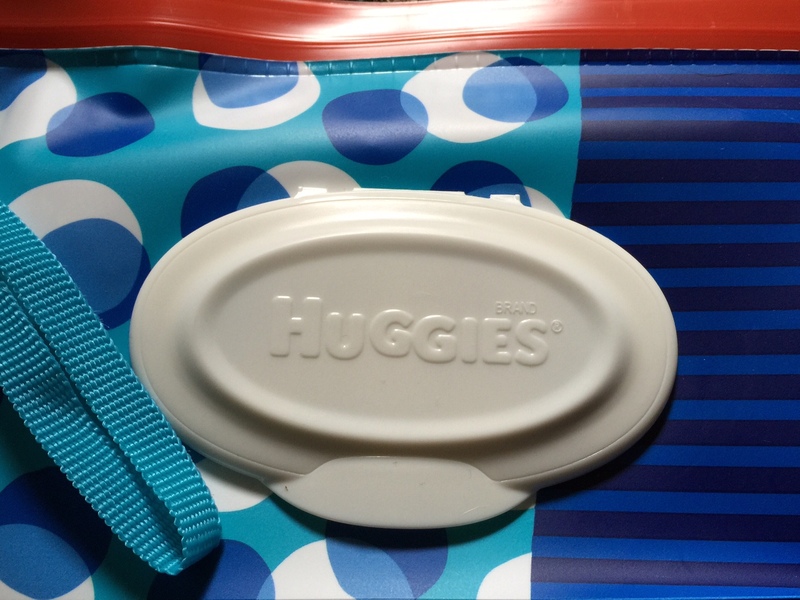 It's so easy to grab these and a diaper for a quick change at a restaurant or in a friend's bathroom - I can grab it easily out of the diaper bag instead of lugging the whole kit and caboodle with me for a simple diaper change. Winning! Huggies Clutch n' Clean wipes help you maintain your sense of style as a mom - year round, but especially during busy times like the holiday season! It's easy to pick up a pack or two at CVS Pharmacy and throw them in your bag for all the not-so-unexpected messes babies and toddlers make during this busy time. There are plenty of styles available in the baby aisle! Those clutches are super cute! I always love fun patterns and colors for everyday items like that. It just makes everything so much more fun. Those clutches are super cute! I was looking at the first couple of pictures wondering what they were. Those are actually really cute! Now that I'll be getting back into the diapers and wipes I'll have to grab one of these for my purse. Those are so cute! I didn't know there was such a thing as a wipes clutch. I love that it's refillable! I hate buying the disposable packages that are so much more expensive than the refillable ones! The clutches are adorable. My boys are 8 and 10 and I still carry wipes around with me. You never know when you're going to need them! When I was at Lulu the other time I got deodorant on one of the shirts I was trying on and the woman there grabbed one of those wipes and was like "no worries! This is how I always get these little marks out". Absolutely genius. So now I totally have a stash in my house and use them for the same thing. They work for everything! I love the Huggies clutch! I got one in a box of diapers and I've kept it in my bag ever since. They really seal in the moisture whereas most travel wipe containers just let the wipes dry out. Seeing all the different patterns makes me want to get more lol. Those are super cute!! 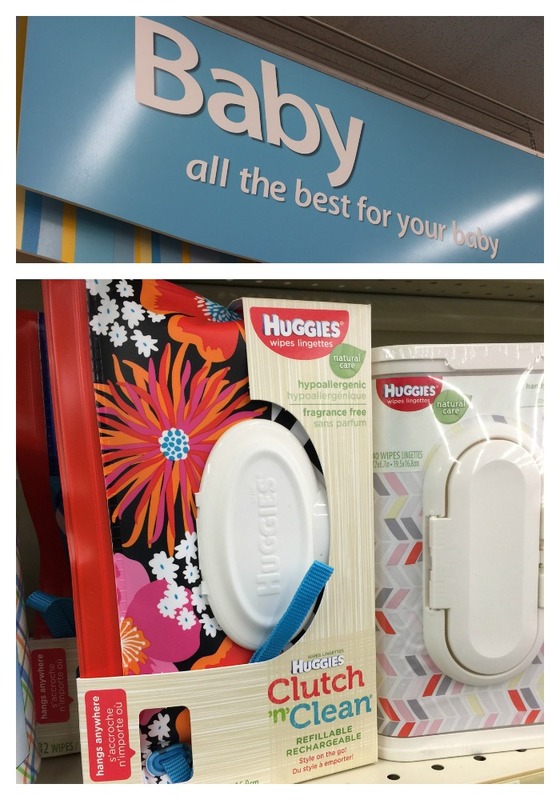 I've never tried huggies wipes but I might just for one of those! Adorable. I love that they made a little clutch for it. So fun! Definitely makes them more fun to pull out of your bag! I'm sure I will do the same thing when our baby arrives and I'm cleaning up all sorts of messes all the time! Such a cute idea! I will have to try them out! P.S. Love the floor of your bathroom--can't wait to see it when it is all finished! Those are awesome. Huggies wipes are my absolute favorites, so now I'll have to hunt for this clutch. Thank you for sharing it. So cute! i seriously used to use baby wipes instead of makeup remover wipes for years. no shame. they were so soft and didn't irritate my skin! that clutch is adorable.